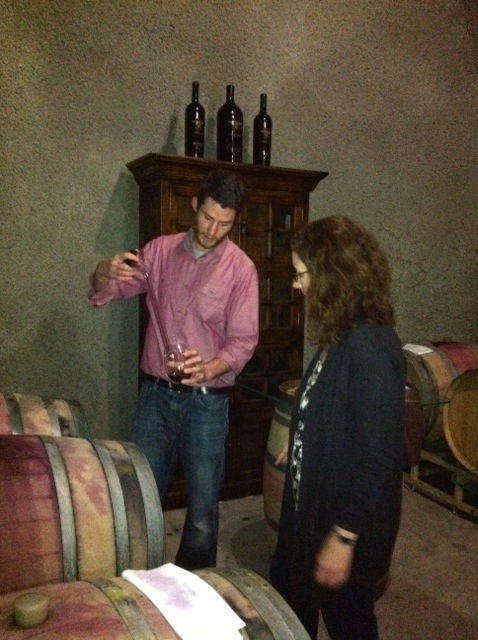 We’re back in Canada from our trip to Napa – and you know what that means. Taxes and duties on alcohol at the border. I paid duty and taxes at the border on the 20 non-exempt bottles of wine to the tune of C$338. Essentially that means an average of $16.90 tacked onto the cost of each of those bottles. I am reeeeally going to enjoy every single one of them. And I’ll toast Canadian sidewalks, public services and medical care at the same time. Coming back to the Miner Family Vineyards though, I’m full of pleasant memories – thief tasting, Cory’s knowledgeable tour and the extensive caves. So, I’ll concentrate on those and focus on the beauty of this seriously tasty wine. Clear and bright, it has deep purple and even legs – even in the paper cup. 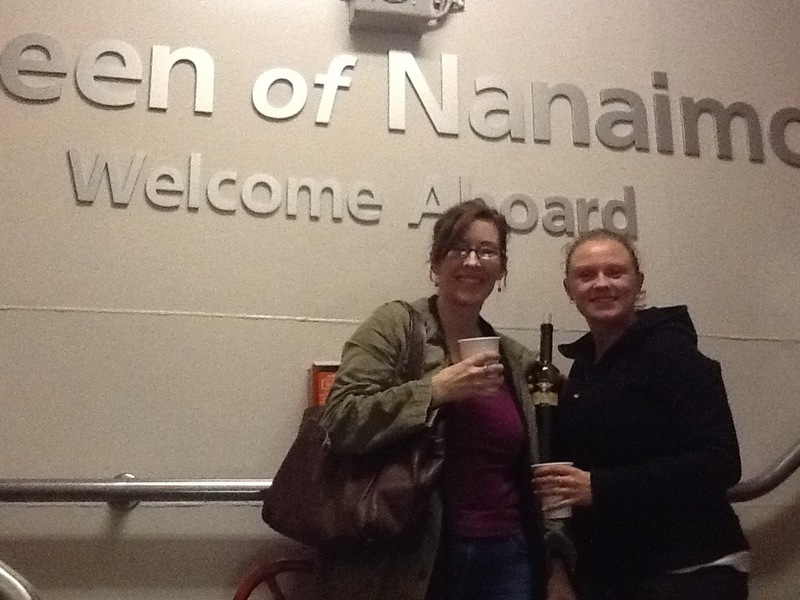 We chose to drink this surreptitiously on the BC Ferry between Vancouver and Saltspring Island. On the nose, it’s young with intense aromas of cassis, black Damson plums, black cherry, sweet vanilla and clove. The palate is dry with medium acidity on the back end and dusty tannins. Flavours show concentrated deep, dark boysenberries, cassis and ripe purple plums. Some Licorice All Sorts, cigar box, black spice and vanilla complement the fruit. The finish is long on this WSET Very Good wine. It’s so comforting to know that the taxes I just paid on this wine are subsidizing the ferry on which I’m drinking said-wine. Oh Canada. This entry was posted in California, Napa, OTHER, RED, Tempranillo and tagged california, Miner Family Vineyards, napa valley, red wine, sierra foothills, Silverado Trail, tempranillo. Bookmark the permalink.